For most people, an inability to lose weight is not due to a lack of willpower or perseverance on their part. 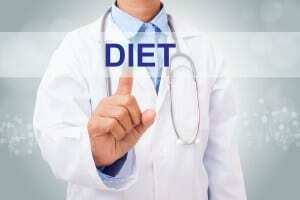 In fact, many people who visit a doctors weight loss clinic in St. Petersburg, Clearwater and the surrounding regions have been trying diligently to lose their unwanted weight and keep it off for a period of months or even years. For many people, this has meant following the latest promising diet fad, only to find themselves disappointed as they regained their weight once more. A doctors weight loss clinic is staffed by a weight doctor who specializes in helping people lose their unwanted pounds and keep them off. Choosing a weight loss clinic that provides a safe and controlled method of weight loss offers many advantages to its patients. Put a stop to unhealthy yo-yo dieting. You need the direction, support and supervision of an experienced team to help you get out of the vicious cycle of weight gain, weight loss, and subsequent weight gain. With a little direction from the right sources, you can achieve your goals and become the healthier person you’ve been yearning to be**. If you are searching for a safe and effective doctors weight loss clinic in St. Petersburg, Clearwater or surrounding cities, contact Dr. Urshan today and discover a new, healthier and more attractive you.